On Friday September 30th, Aljano winery is pleased to invite you to our new original event: the Bufalata! (Buffalo based dinner). 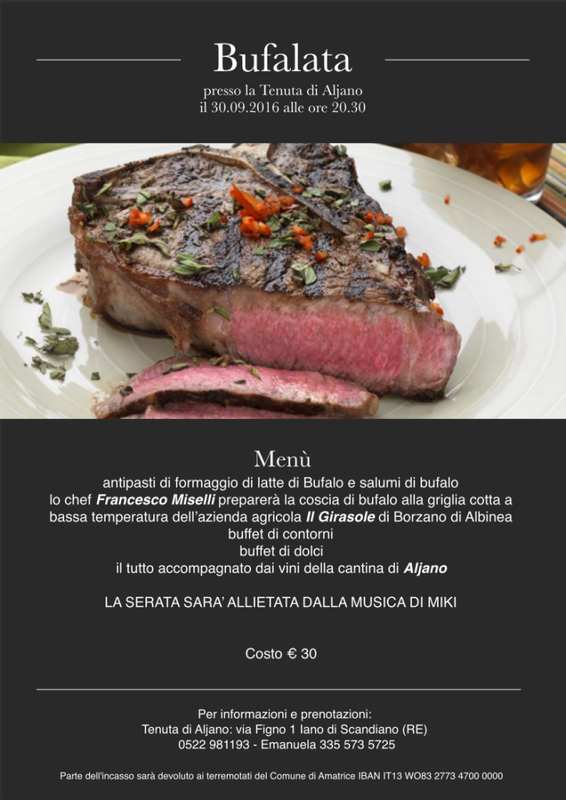 A very interesting menu created by Francesco Miselli chef, composed by Baffulo meats cooked at a low temperature and hail from Azienda agricola Il Girasole. To complete the menu: aperitif of cold cuts and cheese from buffalo, a buffet of side dishes, a buffet of desserts and the Aljano wines! During the evening, the atmosphere will be warmed up by Miky. Reservations needed to numbers 335-5735725 o allo 0522-981193. 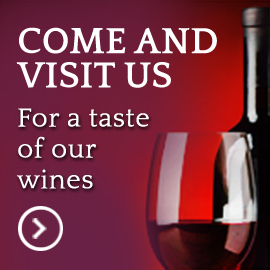 The event will be held in case of rain too, into our tasting rooms.